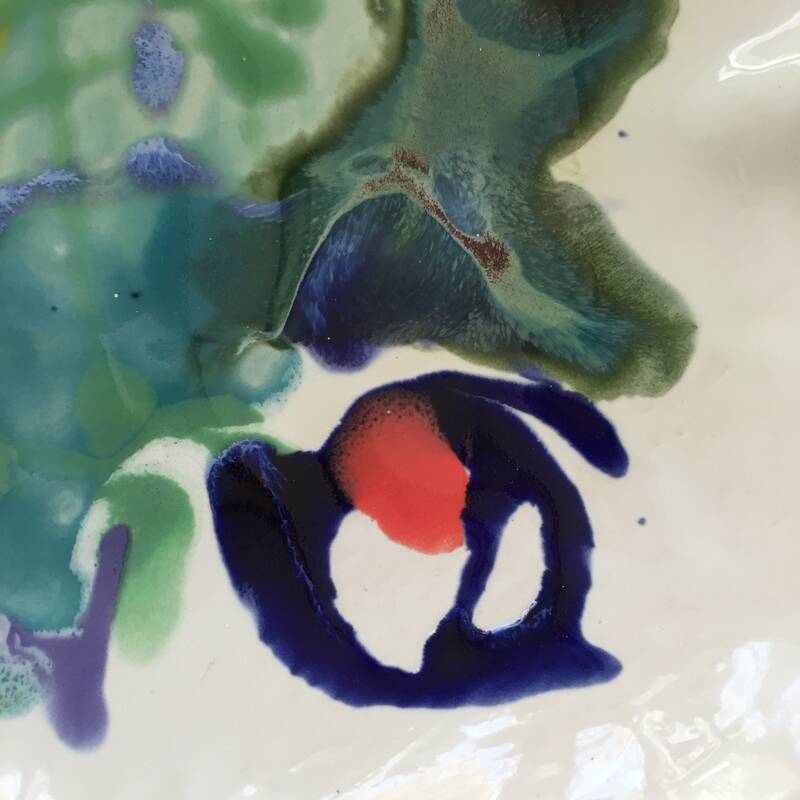 An abstract painting on a ceramic "canvas" - a functional piece of art for your table, or to put on display. 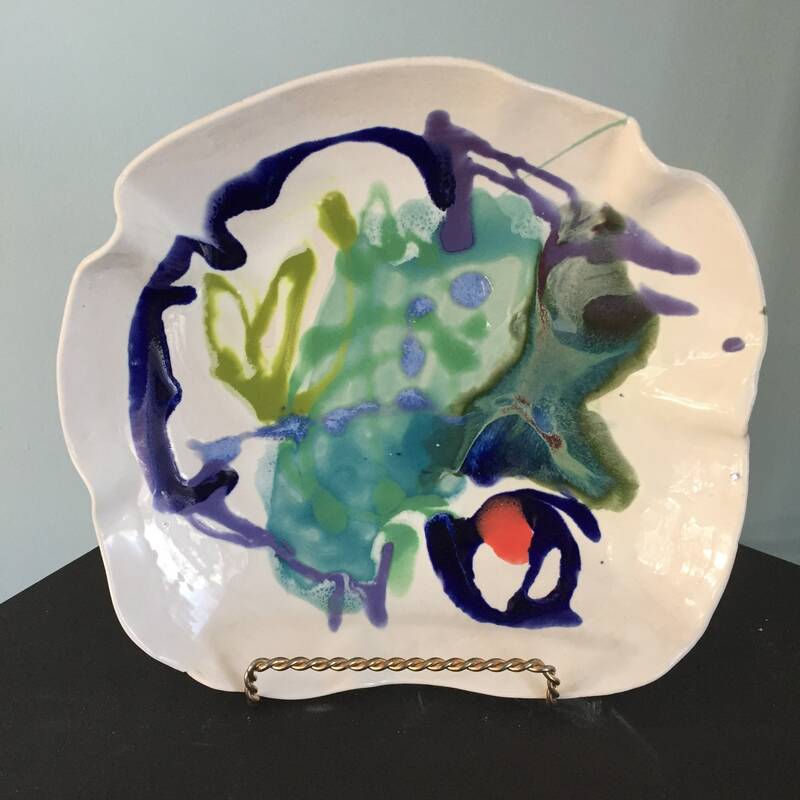 This hand formed and hand painted plate has an organic shape, and an abstract "painting" on its surface. 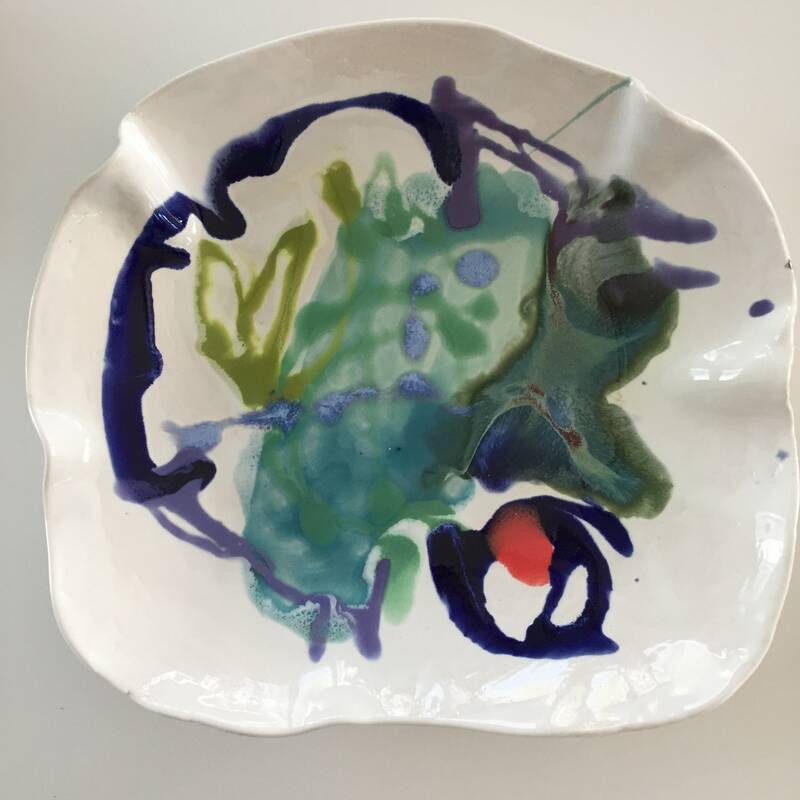 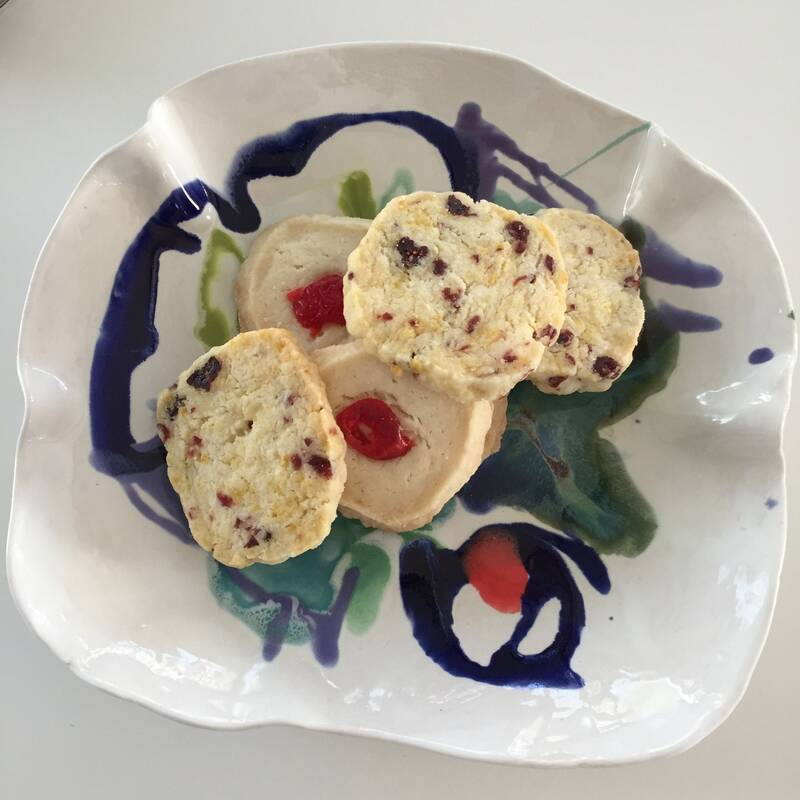 All my pieces are functional for serving food, but this piece is from a limited collection of painterly pieces, which can also be displayed as art. 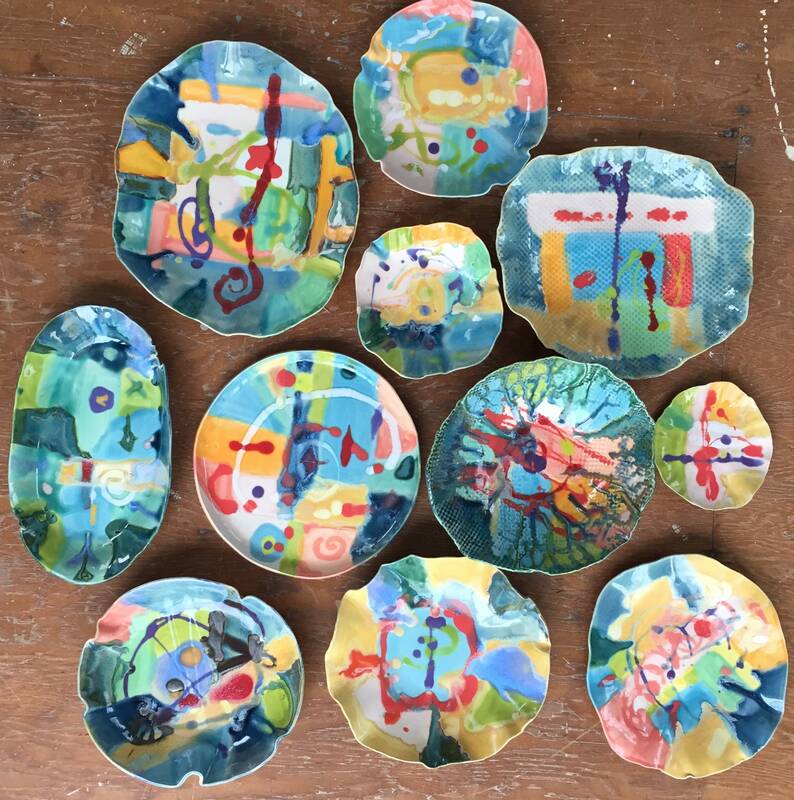 I create these pieces from porcelain clay, and paint them with ceramic glazes, which are permanently fused to the clay in my electric kiln. 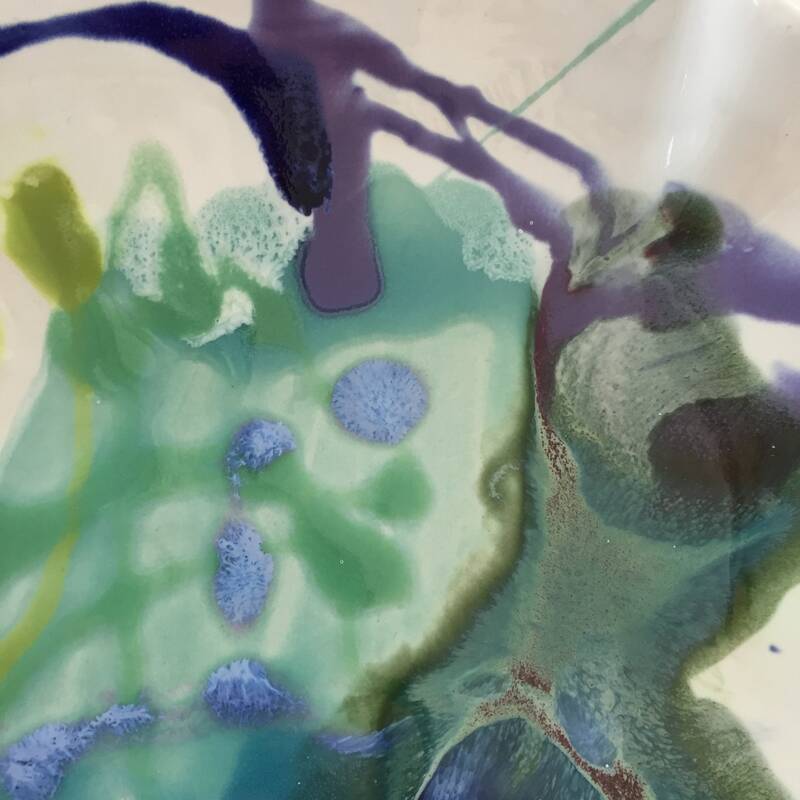 Colors will never fade or rub off - and all pieces are dishwasher safe. 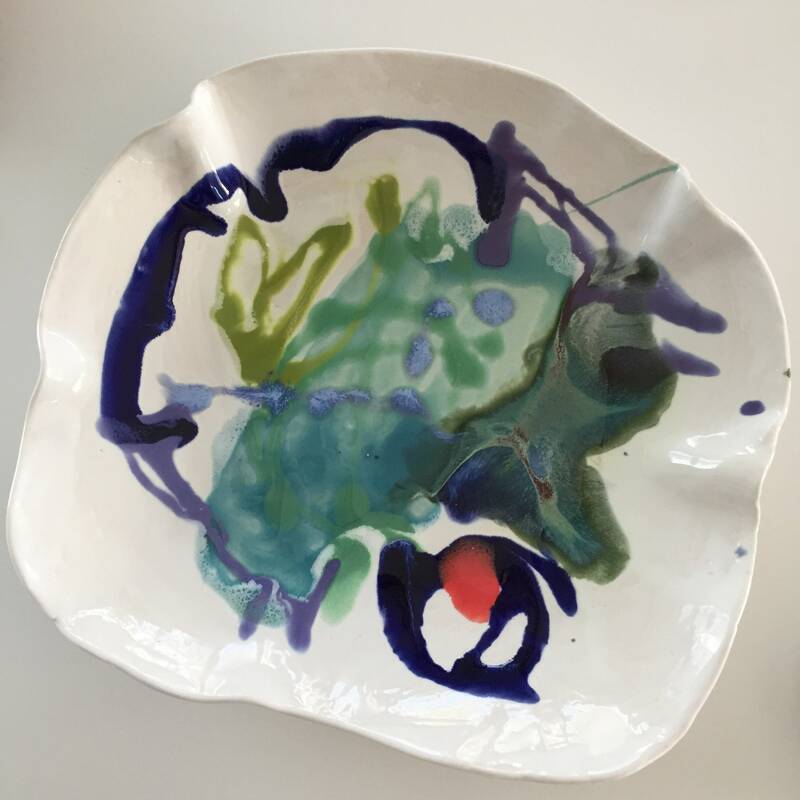 It's about 10 inches by 9 inches - a shallow bowl or plate.